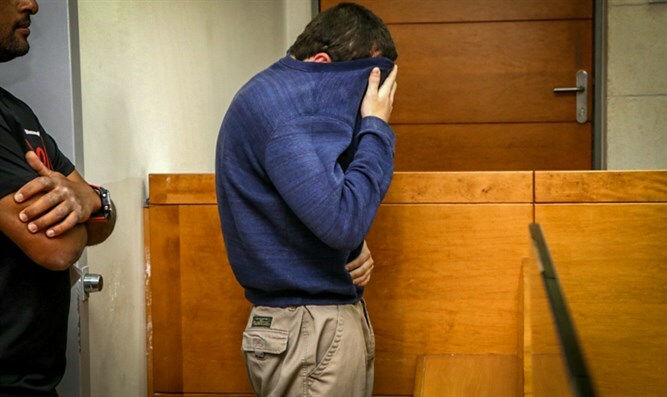 Man behind hundreds of bomb threats to Jewish institutions around the world accused of threatening 100 schools in Tel Aviv, Kfar Saba. The American-Israeli man accused of making hundreds of bomb threats to Jewish community centers in the United States is suspected of making another 100 hoax bomb threats in Israel from prison. Bomb threats received by the Israel Police against schools in Tel Aviv and Kfar Saba on Sunday were traced to a 19-year-old resident of Ashkelon. The suspect is being held in Nitzan Prison in Ramle pending his trial. His name is barred from publication in Israel. The suspect was charged in Israel in April 2017 with thousands of counts on offenses that include publishing false information, causing panic, computer hacking and money laundering. He had been arrested in Israel the previous month in a joint operation with the FBI. Early last month, the suspect was indicted by the U.S. Justice Department for federal hate crimes. The hoax threats to the JCCs and other Jewish institutions in the first three months of 2017 forced widespread evacuations and raised fears of a resurgence in anti-Semitism. The suspect, who holds dual U.S.-Israeli citizenship, also was indicted by grand juries in Florida, Georgia and the District of Columbia, according to the Justice Department statement. The suspect’s parents and lawyer have not disputed his involvement in the bomb threats but asserted in his defense that he has a brain tumor and a low IQ.